With seven hours of sunshine and sea temperatures of 19°C, November is a lovely month to take that Majorcan holiday. The crowds have long dispersed and the experience that you receive is all the more relaxing for it. We currently have a great deal to S’Illot, a traditional fishing village on the east coast of the island. Here visitors can get a real feel for local life as colourful fishing boats arrive daily hauling up the local catch. A prehistoric Talayotic village stands next to the Hotel Playa Blanca, where seven nights All Inclusive will set you back just £100 per person including flights from London Luton on November 22nd. If November hasn’t got you craving sunshine, but rather Christmas markets and mulled wine, then you’ll love Budapest. The Hungarian capital boasts a large winter festival in Vörösmarty Square. 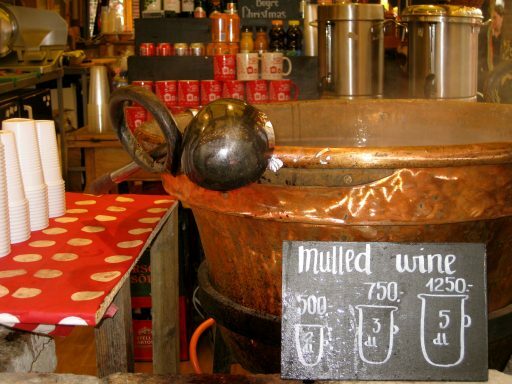 Cosy wooden chalets display a wide range of festive crafts and local produce, from delicious honey-baked cookies and warm stews to fruit garlands and toys made from bulrushes. At the weekends, puppet shows and jazz singers provide entertainment for shoppers, and even kids are catered for with craft workshops. Three nights at the Drive Inn, including flights from London Luton airport cost just £68 per person leaving on November 29th. If we could choose anywhere in the world to do our Christmas shopping, we’d pick New York without a moment’s hesitation. Full of iconic department stores like Macy’s, Bloomingdales and Bergdorf Goodman, if you can’t find it in Manhattan, you probably can’t find it anywhere. FAO Schwarz and the Toys R Us on Times Square, which boasts the world’s largest indoor Ferris wheel, are perfect for seeking out that must-have toy this year. When you need to take a break from shopping, the opportunities here are endless. 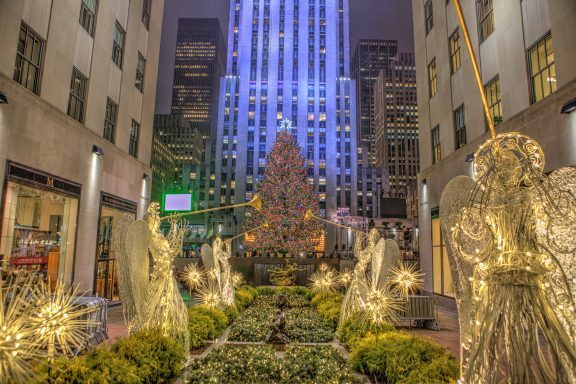 You could take a spin on the impressive rink outside the Rockefeller Center, enjoy a frozen hot chocolate at Serendipity or catch the Rockettes Christmas show at Radio City. Three nights room only at the Hotel Pennsylvania including flights from Manchester Airport on November 28th is just £579 per person. With average temperatures of 18°C, Paphos in November still sounds like a good idea to us. 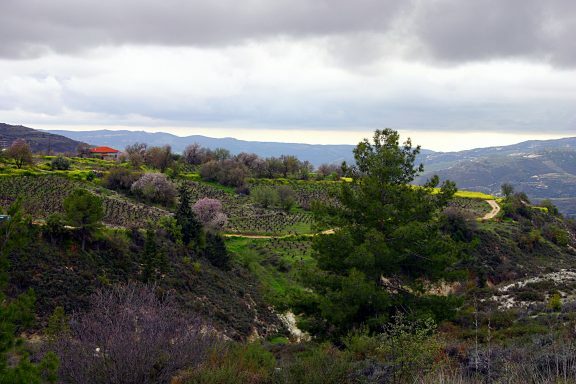 With the weather being slightly cooler than usual, this time of year attracts trekkers who wish to avoid the high heat of the summer months and visit areas like the High Troodos Mountains or the Avakas Gorge. The sea temperatures reach 22°C and water sports are popular at this time of year too, particularly windsurfing and paragliding. Seven nights All Inclusive at Panareti Paphos Resort is £169 per person including flights from Newcastle on November 23rd. Escaping to the other side of the world at this time of year is cheaper than you think. We currently have seven nights All Inclusive at Bellevue Dominican Bay for just £587 per person including flights from London Gatwick. The hotel is situated in the scenic Boca Chica resort, with a white sand beach and the crystal-clear waters of the Caribbean Sea just 300 metres away. The capital, Santo Domingo, is just a 19-minute journey and features a mass of colonial buildings, including the oldest surviving European fortress. Closer to home, La Caleta Underwater Park is one of the top places for diving on the island. 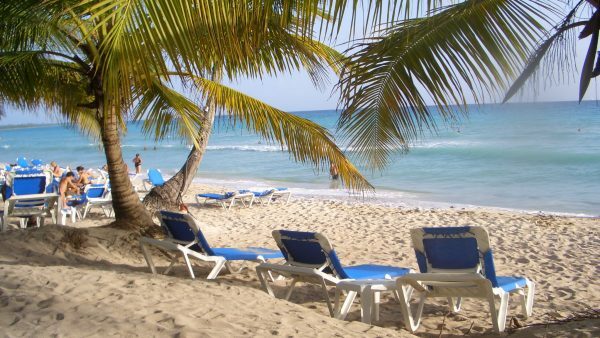 What type of holiday appeals to you at this time of year – somewhere hot or somewhere cool? Join in the conversation with us on Twitter or let us know in the comments below. Images by Top Budapest, Anthony Quintano, Leonid Mamchenkov and Reinhard Link via flickr.